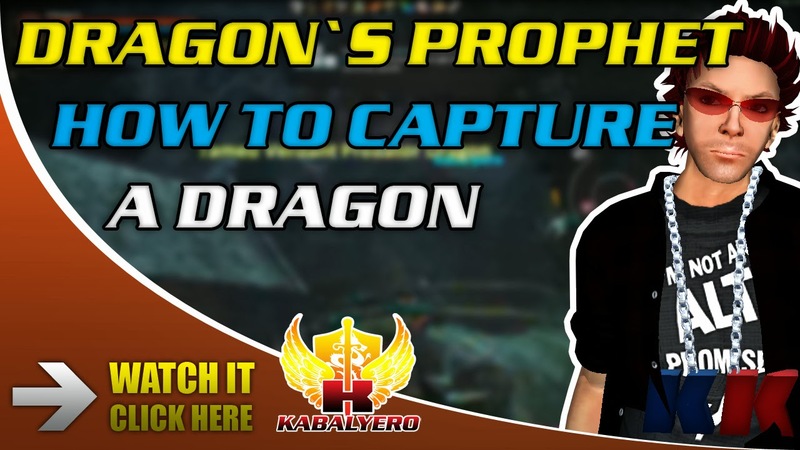 How To Capture A Dragon In Dragon's Prophet - KABALYERO - PLAY, BLOG & EARN! Dragons are an integral part of Dragon's Prophet because calling it Dragon's Prophet won't make sense if there are no dragons in the game. With that being said, players in Dragon's Prophet have the ability to capture dragons and use them as mounts or combat companions. Of course, having pets, mounts or companions is no longer to new to an MMORPG but, in Dragon's Prophet, your captured dragons can be your mount and your combat companion. As a mount, you can ride them wherever you want to go and, as a combat companion, they'll help you conquer even the toughest boss monster in the game. How To Capture A Dragon? So, how do you capture a dragon in Dragon's Prophet? First you must find a dragon. If you don't know where to look then just go outside the safety of the starting town and you'll find them grazing on the fields. After finding the dragon that you want to capture, you must get close enough to capture it. When you're close enough, you'll need to keep the dragon as your target and you must the Capture Dragon Skill. The Capture Dragon Skill is one of your character's starting skills. If you can't find it then you're not looking hard enough. Just look at your character's skill bar and you'll find it equipped in slot number 6. So, just press the 6 key to use the Capture Dragon Skill on the dragon you want to capture. To give you a better idea on how to capture a dragon in Dragon's Prophet, simply watch the YouTube video below. After capturing your dragon, the game will place it in your Dragon Stable. In the start of the game, you'll have 2 available slots in your Dragon Stable. This means, you can capture at least 2 dragons in the beginning of the game. Press the P key to access your Dragon Stable. If you like dragons in your game then Dragon's Prophet is definitely for you. It's free-to-play and it's published by Sony Online Entertainment. You can sign-up for a new free account and download the game client here » http://play.any.tv/SHNb0.